Fairmont Animal Hospital offers a variety of healthcare options for your feline friend. We offer a wide range of services which include medical, surgical, preventative, diagnostic (laboratory and radiology) along with nutritional and behavioural consultations. In partnership with you, our goal is to offer your feline companion a personalized health care program. Why should I bring my indoor cat to the veterinarian? Indoor cats are less likely to be seen by a veterinarian throughout their life – yet they are frequently the ones that are seen most often by veterinarians when illness strikes. An annual examination helps monitor the health of your indoor cat throughout its life stages. The appointment consists of a physical health examination, behaviour, and nutrition consultation along with monitoring weight (changes in which can often indicate underlying health issues) if vaccines are due they can also be administered at this appointment. Rabies vaccination is still required by law, and indoor cats can even be exposed to the disease especially if they escape from their home. It is always a good idea to arrange an annual visit for a cat of any age. 5 Benefits of Routine Veterinary Visits. It is better to prevent illness rather than cure illness – information that we discuss at your cat’s annual visit provides a guideline for the veterinary care team that enables us to help you keep your cat healthy for years to come. Cats age more rapidly than their human counterparts. A cat reaches the equivalent of 15 human years in its first year of life and is considered to be 24 by its second birthday. Each subsequent year after their second birthday they age approximately four ‘cat years’ to one human year. So your 10-year-old cat will be approximately 56 years old (in a human timeline). A lot can happen in those four ‘cat years’ which is why annual visits are so essential for their health and happiness. Cats are adept at hiding sickness and pain – a cat’s instinct is to hide how they truly feel when they are ill or in pain. Your cat could be developing a severe health problem long before you realize anything is wrong. A yearly physical examination gives the healthcare team the opportunity to detect illnesses long before they become more challenging to treat. Obesity is a common concern for indoor cats – the annual examination gives us an opportunity to monitor their weight and offer nutritional and enrichment advice to help keep your cat’s weight ideal. Extra weight puts your cat at risk for heart disease, diabetes, kidney disease and respiratory problems. Adult cats have 30 teeth – which means a lot of dental issues can arise as your cat ages. Periodontal disease is considered the number one concern of cats aged 3 and over. Most cats exhibit no signs of dental disease or pain and will still eat without any apparent changes in appetite! A dental health examination is part of your cat’s routine preventative health care examination. FVRCP is a common acronym that is used when referring to the vaccine that is administered to cats and kittens – this vaccine helps boost their immunity and helps prevent against of the most common viruses cats are exposed to. We most often refer to this as the distemper series of vaccinations. Is a highly contagious viral disease caused by the feline herpes virus. Can cause upper respiratory infection and damage to the eye. Is an easily transmissible airborne virus. Highly contagious and often fatal viral disease. Causes gastrointestinal conditions such as diarrhea, dehydration, and malnutrition. Can affect bone marrow, lymphatic system and the developing nervous system. Lives for a long time in the environment and can be transmitted by contaminated shoes, clothing, bedding and litter boxes. Once a cat reaches the age of two years and vaccines have been administered annually up to that point in time – their vaccination schedule will undergo some slight changes. 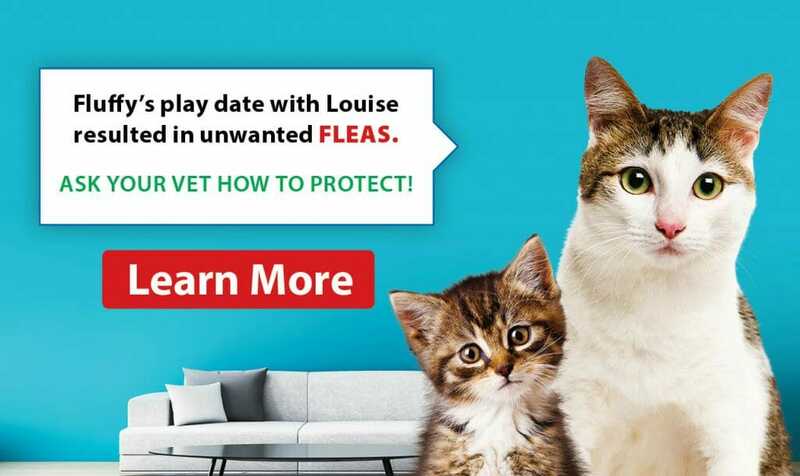 FVRCP vaccine will be administered every three years, but Rabies will continue as an annual vaccination, if your cat has an outdoor lifestyle, then Leukemia will also be applied annually. (Rabies is still a required vaccination in Ontario regardless of your cat’s lifestyle). Are there any risks associated with vaccinations? The side effects of vaccinations are minimal, and most cats and kittens experience no side effects at all. Sometimes lethargy or malaise can follow vaccinations, but they generally diminish after approximately 24 hours. If your cat or kitten experiences general malaise or other concerns post vaccination, we ask that you notify us immediately so we can take appropriate steps to intervene medically if needed and also to mark their health chart, so that at any future appointments we are aware of any concerns that occurred. 5 Practical tips to keep your cat happy. Environmental enrichment is key to keeping our cats happy. Behaviour problems are a leading cause of cats being surrendered to shelters or euthanized because the behaviour is no longer tolerable. Often these problems occur because their human companions have overlooked the needs of the cat. You may ask what more could a cat need apart from food, water, shelter and a clean litter box, and the answers might surprise you. Understanding the needs of your cat and how it affects their behaviour. Provide a safe place – they have a strong need to protect themselves from perceived dangers that make them feel threatened. This could be as simple as having an elevated area that they can retreat to if their sense of well-being and safety is threatened. Provide a variety of environmental resources – this includes eating areas, multiple litter boxes, scratching areas, play areas and resting or hiding spaces. Provide an opportunity for play and predatory behaviour – this allows them to fulfill their instinct to hunt. Allow them to ‘catch’ their prey to avoid frustration; food puzzles or food balls also will enable them to mimic natural hunting behaviour (and also helps to control obesity). Provide positive feedback – never force interactions with your cat, allow them to set the tone and pace of how much human companionship they need. Never punish or swat a cat for a behaviour you deem inappropriate, this will only make matters worse. Respect their sense of smell – cats use their sense of smell to manage their environment and evaluate their surroundings. 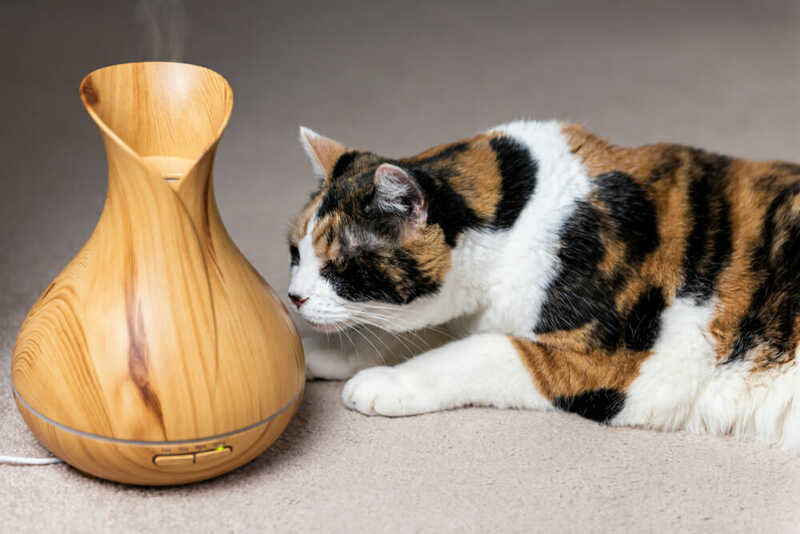 Threatening smells can often cause cats to behave in problematic ways such as the inappropriate elimination of stool and urine, scratching in undesirable areas and spraying to establish territory; stress-related illnesses may also develop.